To preserve a virtually untouched deciduous forest as an ecosystem area with all the natural flora and fauna. Special qualities are lime demanding vegetation on dolostone bedrock, river edge vegetation, pine trees on its northern border and a large river gully. The area is special as a locality with rich, complex vegetation with lime demanding species, and incidence of pine. 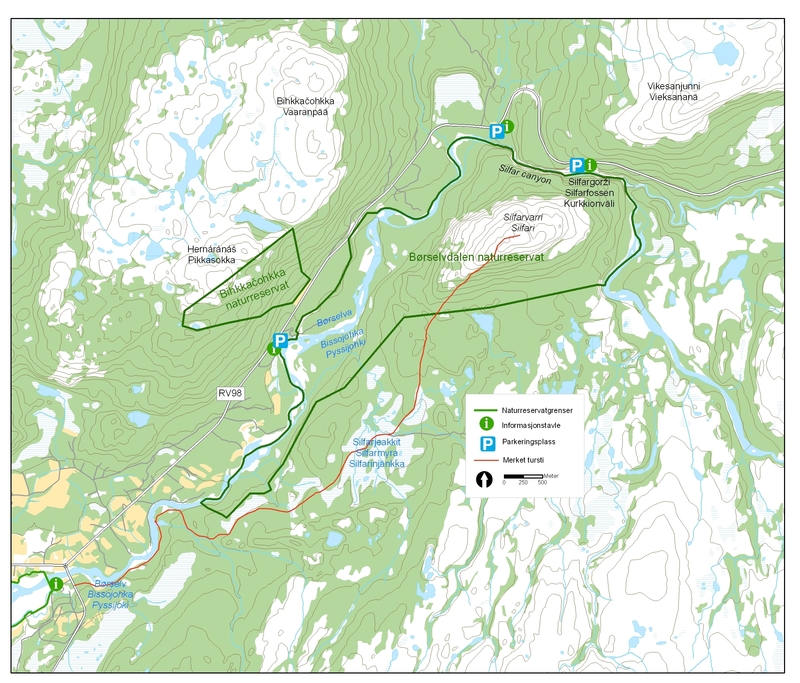 Preserving the natural basis in the nature reserve is important for the Sami culture and economic exploitation. 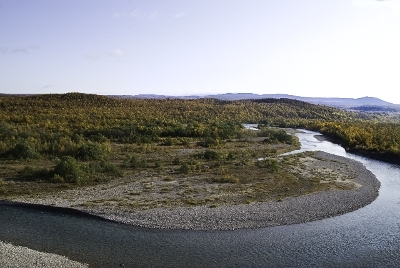 The area is to be used for reindeer herding. Børselvdalen nature reserve includes the riverbanks along Børselva from Silfarfossen and down to Fredheim, and the hillside south of the river. Birchwood dominate the vegetation image. There are also some scattered pine trees in the area which is known as the northernmost occurrence of pine. Within Børselvdalen nature reserve and along the river is German tamarisk Myricaria germanica one of the characteristic species, like the reindeer rose found in the large hillocks in the dolomite gravel. The forest along the river has an element of grey alder and willow. On protected areas along the river is also some rare sedge Carex bicolor. Above the valley bottom low birches dominate. Other tree species in this zone are rowan, grey alder, bird cherry and aspen. Higher up against Silfarvárri we find lime dry ground species such as white dryas and dark red helleborine. Here are also some bogs where the added water is nutrient, where marsh lousewort and broad-leaved cottongrass, which is relatively rare so far north, grow. It is noted a relatively high density of passerine birds, including the Common Redpoll, the Willow Warbler and the Brambling in the nature reserve. Numbers of registered birds species are not particularly high. The area is grazing pastures for sheep and reindeer. In Børselvdalen nature reserve there are some traces of human activity related to salmon fishing. Salmon fishing in the Børselva is very good and can be recommended. For those who are looking for a nice hike into the reserve, there is a marked trail from Fagerli to the top of Silfarvárri. Go on foot or skis where you want. You can also pick berries, mushrooms, and hunting and fishing in the reserve. Remember, hunting and fishing licenses. If you create small bonfire, use dry branches and twigs. It is forbidden to remove plants or plant parts from the reserve. Fauna, including nest sites and hibernation areas, are protected against damage and destruction.